Togetherness can sometimes be separateness. 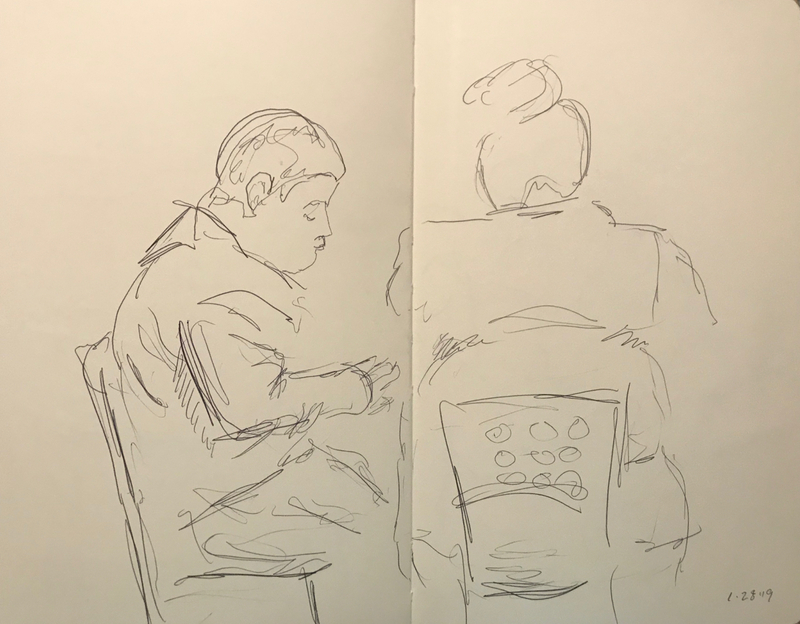 This entry was posted in Personal Stories and tagged art, artistic expression, drawing, mother and son, pen and ink, pen and ink sketch, portrait, sketch, sketch book, togetherness. Bookmark the permalink.